Tired of Posting Your Ads and Having Them Ghosted. We Have The Solution! Are You Tired of Posting Ads on Craigslist and Backpage Only to Find That They Have Been Deleted (Ghosted)? Read on For The Solution. If you are tired of having your ads ghosted on Backpage and Craigslist this software is for you. TheFreeAdForum.com Free Classified Ad Sites is one of the busiest classified ad sites out there getting 1000's of advertisers and views each month. There are currently close to 30,000 members and growing. You click on some of the featured ads in the hottest listings section and you can see that some ads are getting 1000's of views. We are constantly promoting this site to our list of over 100,000 members. TheFreeAdForum.com Pro Submitter classified ad submission software will submit unlimited ads to any category on the site automatically. Almost No Captcha Services Needed! This software is super easy to use. You do not have to hassle with proxies, or complicated captcha services and as long as you follow some basic guidelines your ads will never be ghosted. The software only uses a simple captcha on log in and it integrates super easy with most major captcha services. It could easily take one year and 100,000+ ad submissions or more to use $1. worth of captcha solving services. Most other classified ad sites require you to solve a captcha on every single ad submission. Not The Free Ad Forum. This software will save you time and money. Just input your username and password of your favorite captcha service and the captcha is solved automatically for you. We will give you our suggestions for captcha services in the manual. It is super easy. How can we be so sure? Well, we own the TheFreeAdForum.com! Yes, we both made the submission software to make it easier to post to the site and we own the site so we control the terms of service. We want you to advertise on our site. You will always know where you stand. If there is an issue you can contact us and we will be straight with you. We Own TheFreeAdForum And We Want You to Post Your Ads! We already have thousands of people using our free version of the software successfully. They love it! It is so easy to use and hassle free. However, many have suggested that they would like the ability to post in different categories. So we created TheFreeAdForum.com Pro Submitter for these people. You Can Submit to Any Category, Country and City On The FreeAdForum. You have the free reign of our site. Do you want to post ads in the USA, Canada,UK or India? No problem at all. TheFreeAdForum Pro Submitter will submit unlimited ads to the entire city database of each country in our database. Plus you can submit your YouTube videos with each ad. People love YouTube videos. Imagine having a nice YouTube video embedded right along your ad. In addition you can upload up to 7 pictures with each ad. If you include your website address the software will make a clickable link for you in the body of your ad saying "Visit My Website." No html necessary. We do it for you. Since There are No Captcha Services Needed. Buy The Software and Get Free Traffic Forever! Below is an example of a simple image section: use images or icons to illustrate a point you're making. This can assist in your story telling or be used to showcase features (although only if you use it further down the page, after the product reveal). No captcha services so once you buy the software all traffic is free!. Post unlimited ads daily in any category and country! No ghosting or deleting of ads as long as you are reasonable. Ability to use either html or text in your ad descriptions. Include custom keywords in your ads. Add your website as a clickable call to action link in your ad. Easy to use set and forget software. Automatic submissions. Almost no need for captcha services. No Terms of Service Issues Because We Not Only Made the Software But We Own The Site As Well! 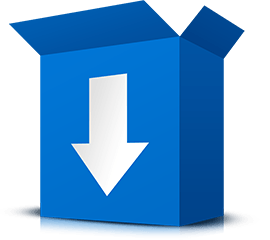 THE FREE AD FORUM PRO SUBMITTER! Proof That Ads are Getting 1000's of Views on TheFreeAdForum.com! “Ads on TheFreeAdForum.com are getting thousands of views! With The Free Ad Forum Pro Submitter you can post unlimited free ads in any category! Here is how it works. Super simple! No proxies or captcha services needed! Just $47.97 One Time Fee! Lifetime Updates Included! Here we have a highly attractive purchase section. We display another paragraph of text, which is a strong call to action to your readers. In addition, we have a product image, unmissable large button and some guarantee and safety symbols. These are not just words we mean it. 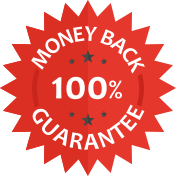 If for ANY reason you are not satisfied with the software we will give you a no hassle money back guarantee. We value you as a customer and plan on coming out with many more marketing software. Just $47.97 One Time Fee! You will be sent your software and license key immediately after you order! Here's a section that you can use for many purposes. For example, you can use it to showcase how your solution is better than other solutions out there. Or, compare the problems your reader is facing right now with the great solutions they'll enjoy once they purchase. Post unlimited ads on autopilot saving hours of your precious time. Have your ads go live every time! No ghosting! Add videos, pictures and use html to create clickable html ads easily. Post to all cities in USA, Canada, UK with one easy to use software. True free advertising after you purchase the software. No need for captcha services. No need to deal with complicated and expensive proxies because we are not going to ban your ip! Waste tedious mind numbing hours manually posting ads and eventually giving up. Pull you hair out on posting on other websites where they delete half or all of your ads and you have no idea why! Spend hours finding sites that have the right databases and spend even more time learning how or if they work! Pay captcha services for every ad submitted. Pay for proxies every month and spend your time trying to figure out if and how they work. Keep Paying for Expensive Advertising Over and Over! Here is What You Get With The Free Ad Forum Pro Submitter! Just $47.97 One Time and Get Free Traffic Forever! ​You are fully protected by our 30 Day 100% Satisfaction-Guarantee. If you simply find this software is not for you just let us know and we'll send you a prompt refund. You do not need a captcha service. Once you buy the software your advertising is 100% free! Can I use this software on a MAC? You need Windows 7 or later. However, you can get a remote Windows VPS very cheaply and run your software 24/7 from any computer including a MAC or XP. See here to learn more. ​You will receive your software and license key within a few minutes after you order. It will be sent to your billing email. Make sure you put info@coolmarketingsoftware.com in your contacts. There is no need for proxies when using this software. Will my ads get ghosted? No. As long as you are legal and respectful we will not ghost or delete your ads. Yes, I want to get started getting free traffic now! Get $597 of Full Version Pro Marketing Software For Free! Plus Special Members Only Discounts on Future Software Releases! Send Me Free Marketing Software!